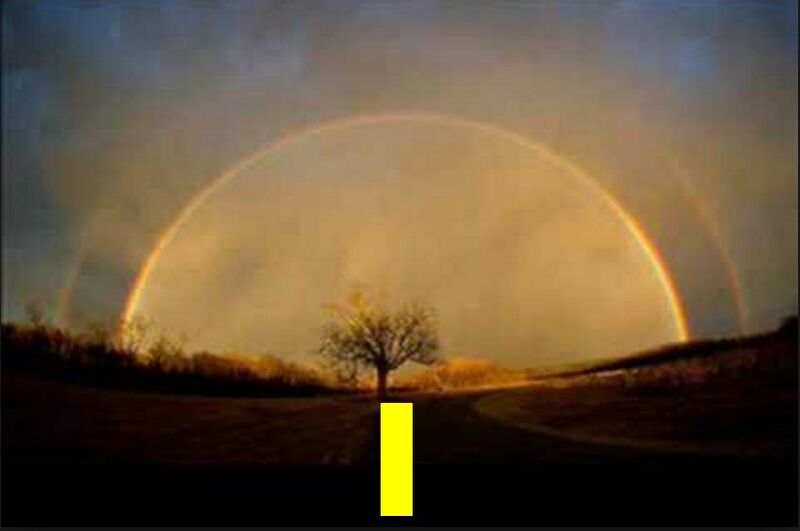 The seed of entire universe is 1 (one single). From this originated the infinite universe those suns, earths, moons and the entire vegetation and life. The seed is One and only one. He is thus omnipresent and loves His creations without any discrimination. Since He created space and matter naturally he is beyond the concept of time, space and matter. It will thus be not wise to say that He took or takes birth at a particular time and place. Our holy dieties, avatars, peers and prophets have been creation of that One. Obviously one can't represent Him through some image. Is it worthwhile to say that He lives at swarag or heavens at some distance place in cosmos at the planet distant? No. Well if He is there every where in His creations why we can't see Him? Answeer: The curtain of falsehood and ego separates us from the God. Hukam -The world or life process is going on in accordance with His administration or will or hukam of God. To run his administration He has devised some systems or rules like the rule of 'gravity'. Such rules are in millions of trillions in fact they are numerous. Name- His most appropriate name could be Satnam because one realises Him while leading a truthful life only. Then how to remove that curtain? Answer: By way of submission to the will of God and keeping Him always in our mind. How can we keep Him in our mind? - By way of saying/singing Naam or Name. Whati is Naam? PRAISES. Thinking about the greatness of God; His creation. The way he creates and gives the food to grow and live and finally destroys (death), the vastness and beauty of His creation and thus say/sing praises to Him. How can I say praises, I am a simple man? - Recite or sing this philosophy through the Gurbani. • You can't force your way to God. Your union with Him solely depends upon his grace on you. (Guru thus refuted the relevance of 'Hath yoga' i.e where people would take penances. Some will commit suicide, others keep standing on one leg, some walk on fire, some restrict their diet to milk only or some live on fruits only, some go into samadhi and keep focusing on some body phenomeno i.e naad jyot etc. Your intellectualism, if you are, is not helpful on the path to God. • Rituals are useless on His path. Taking holy baths doesnot help and similarly pilgrimages are of no use. He is not pleased with your fasting either. • But those engaged in Naam recitation are respected in society. • Guru or divine teacher is important for you because he will explain to you all this. The guru himself is equal to famous dieties. • Which language does God understand? English, Chinese, Arabic or Sanskrit or Punjabi? He promptly understands the language of love. Have feeling of love for his creations and He understans it. • If ego separates us from Him, how to eradicate ego? Understand the life phenomenon or recite the naam and ego will subside. • Amritvela the early hours of morning before sunrise is the best time to recite naam though you can 'naam japp' any time. • By reciting naam you can liberate yourself from worries and ups-downs of life and sins. • By listening/singing praises you get naad and jot and body phenomnon revealed for which yogis waste their lives. • Before you is laid bare the phenomenon of world and life When you recite or listen naam. You understand the reality behind all phenomenon. • Those engaged in Naam japna become contended and respected in society. They can understand the actual phenomenon underneath the incidences. • Fate of every creature is determined before his birth. • God created universe with one stroke of order. • In this great drama of life God Himself created all characters so called good people as well as bad. Thus there are numerous murderers, thieves, cheats, dirty and sinner people. • Naam can wash your sins like soap washes dirt. • You can't remember God without reciting His praises. • As you sow, so shall you reap. • When did God created the universe?- The tales of some religionists are not true that God created universe on such and such occasion. Only He know when He created life. • No body can know the limit of creation of God except He Himself. There are millions of earths, suns, moons, planets etc. Thus numerous skies and ethers. God and His creation is infinite and thus there is no end to praises to Him. • Liberation is only through His grace. • Those engaged in His praises are superior people. They are even better placed than kings and emperors and prime ministers and presidents. 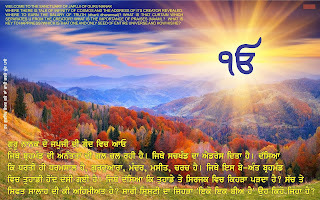 • Seeking powers to do miracles (ridhi sidhis etc) is not good as it violates the hukam. • With amusement or pleasure God keeps watching his creation or the Great Drama and likes His praises. • Obvious: no one can order God to do this or that. • Santokh the concept of feeling contended, saram or kirrat the labour, having knowledge about the infinite God, having pity on others (daya), and love for others , fear of God in our minds, and shabad the praises to God are helpful on divine path but ultimately it depends upon if the God becomes kind on us or not (nadar or karam or grace). - Nanak nadri nadar nihal. • END-A great drama is going on where earth is like mother and water like father and air like the teacher and day and night like baby-sitters. Your conduct is under observation. Those who had recited naam will be liberated with their companions.